How much is table service on Fridays at Le Jardin? Lounge table $450, 4 comps. Main room table $800, 8 comps. Larger table in main room $1000, 10 comps. Dance floor table $1200, 12 comps. Prime table located next to DJ $2000, 16 comps. Get yourself down to Le Jardin Fridays for an incredible start to weekend nightlife in Los Angeles! On May 6th 2016 at Le Jardin, LA top DJs will be mixing and mashing popular hip hop music tracks from Drake, Rihanna, Fetty Wap and more, 10:00pm to 2:00am. Le Jardin Fridays welcome Hollywood celebrities, trendsetters and fashionistas to an unforgettable evening of mischief and mayhem; a chic outdoor lounge where you can look your best with fabulous people. Blow off some steam at one of Best LA club venues, Le Jardin. And don’t wait until it’s too late! Grab your coolest outfit, call your hottest friends, and join us at the best nightclub in LA, Le Jardin. Contact VIP host, Jamie Barren, asap to join the party happening at Le Jardin Friday nights in the heart of Hollywood. This club is taking the Los Angeles nightlife scene by storm, and you need to come see what everyone is talking about. To RSVP, call +1 (310) 749-9029. Elevate your LA nightlife experience with VIP table service at Le Jardin Fridays. 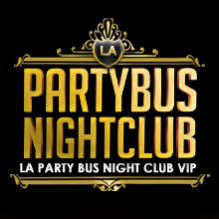 Bottle service at LA top clubs is a guaranteed way to have an awesome Friday night! Want to book a table with bottle service reservation at Le Jardin Friday nights? We’re here to set you up with everything you need. We’ve got the best prices on tables and bottle service at every LA top club. Seriously, try us. Contact us for VIP table service Le Jardin Fridays in LA. For VIP table reservations with bottle service, call/text +1 (310) 749-9029. Le Jardin is the newest lounge from Sunset Entertainment Group (Lure, Cabana Club, Green Door, White Lotus, the Sunset Room), and it features a garden inspired by the south of France. Since Le Jardin LA is a fairly new venue, prices will fluctuate depending on availability and level of “exclusivity” for the night. Any table at #LeJardinFridays is good as the garden provides an intimate setting where strangers become friends, friends become family. This venue has an amazing outdoor patio with great cocktails, amazing performers, and an awesome vibe. Cocktails include traditional Bellini and libations such as La Vie en Rose, which is made with rose, Belvedere citrus vodka and simple syrup. BottleMenuService currently offers the best bottle service Hollywood nightlife party packages for Le Jardin Fridays. Home and Garden meets high-voltage nightlife on North Cahuenga Blvd at the exceptional Le Jardin. L.A.’s very own villa oasis is the latest and greatest Hollywood hot spot from Sunset Entertainment Group (SEG). The new 9,000 square foot outdoor lounge evokes the feeling of Southern France, which is accented with olive trees and vines, paved with tiles, and furnished with striped lounge seating and two outdoor fire pits. There is room for 600 with two full-service bars, an intimate dining area, and a Funktion 1 sound system. The venue boast impeccable mixology and exquisite open-air ambiance complete with lush Eden-esque greenery. The garden itself has been designed to resemble a whimsical evening for the elite to enjoy cocktails, endless conversations and live acoustic music beneath the stars. Le Jardin Fridays is an exclusive destination for Hollywood’s crème de la crème, serving as an unforgettable hideaway for A-list celebrities, socialites, and taste-makers.